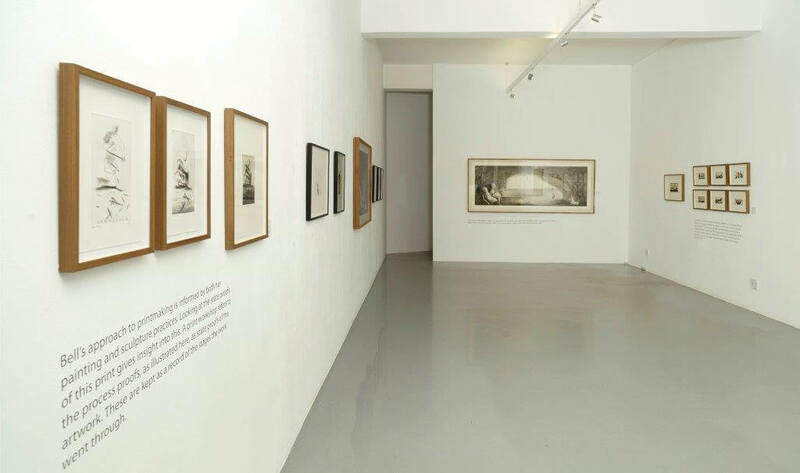 David Krut Projects is pleased to present Invocations to the Plate, a showcase of the latest body of prints by Deborah Bell in collaboration with David Krut Workshop (DKW) and visiting Master Printer Phil Sanders. Bell’s work considers the border between mortality and immortality, matter and spirit, presence and absence, the quotidian and the mythic, the grounded and the transcended. These ideas often emerge at a subconscious level as illustrated by the seminal piece of the collaborative project, a large 2-meter long diptych entitled She Wolf. 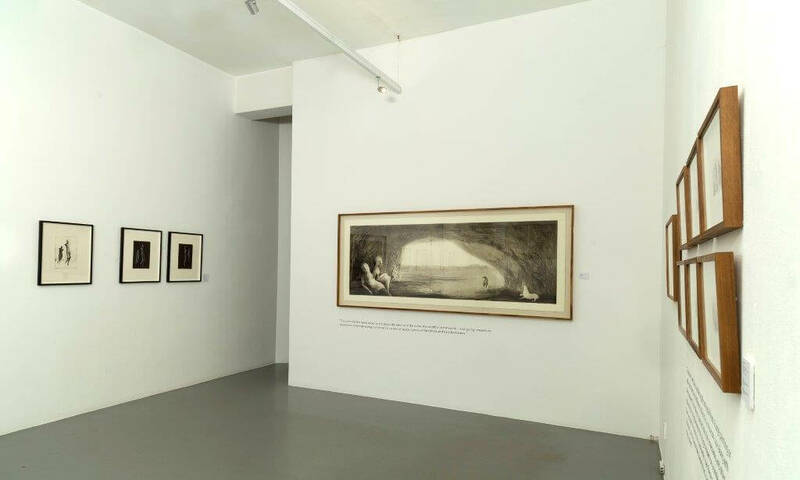 The cave and the open expanse are about the inner and the outer, the womb and the world – and going inwards as opposed to only expressing ‘out there.’ It is a liminal space, a place of threshold and transformation. In preparation for, and alongside She Wolf, a number of smaller explorations of Bell’s thoughts and subjects will feature. Bell’s initial ideas are often conceived from her visual notebooks, where the spontaneity of her quick, private drawings seem to capture the figures in a gestural moment. In the making of her plates, Bell’s ideas develop and evolve with her working physically, pushing and pulling the images through scratches, gouged marks and burnished tones – much like the sculptor she is. “Sometimes I will take a small insignificant detail from a large painting or make quick sketches of different artifacts in a museum case along with their shadows. These all get crammed into the notebooks and often a relationship is set up between the images drawn on a single page which then become the source for a new work. I see these notebooks as my dictionary; each image is like a word that I can juxtapose to create a story, a poem.” – Deborah Bell. Accompanying this exhibition is our newest publication Invocations to the Plate: Notes from the Print Workshop 2014 – 2017 featuring the complete collection of works made in collaboration with DKW and Sanders. Texts include insight from Bell on her creative process, essays by Master Printer Phil Sanders and Jacqueline Nurse, technical notes from Master Printer Jillian Ross and the printers of DKW with a full history by David Krut on his collaborative relationship with the artist. 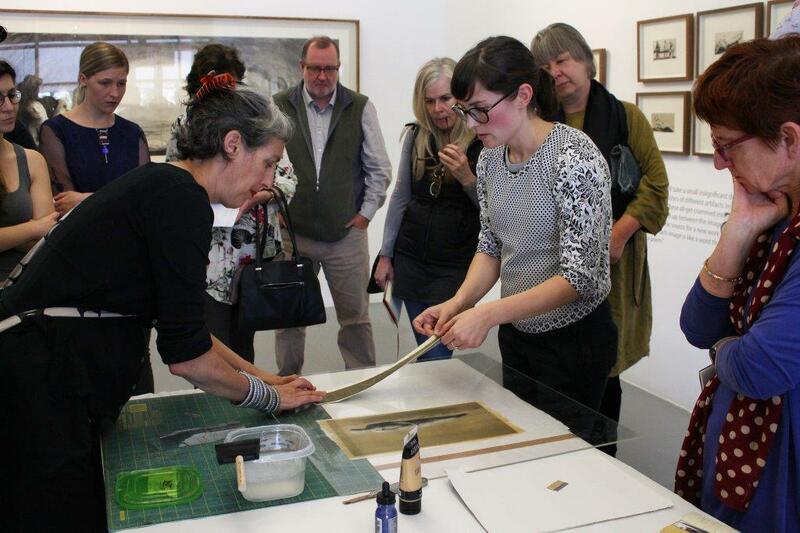 In the video below, Printer Kim-Lee Loggenberg demonstrates the chine-collé technique involved in printing ‘Frail Crown’ by Deborah Bell.